You really can’t go wrong with perfume as a gift idea on Mother’s Day, but choosing the right scent can be a little trickier. Unless your mum has stated what perfume they want, how do you choose? I’ve put together a guide to steer you in the right direction. This Spring sees a handful of beautiful new perfume launches and so I’ve selected some of my favourite new launches and a few classics to help you choose that perfect gift this Mother’s Day. Does your mum have a dressing table of beautiful beauty products? Then add Jimmy Choo’s L’Eau to the collection. The simplistic but beautiful bottle will be sure to decorate the dressing table this Mother’s Day. 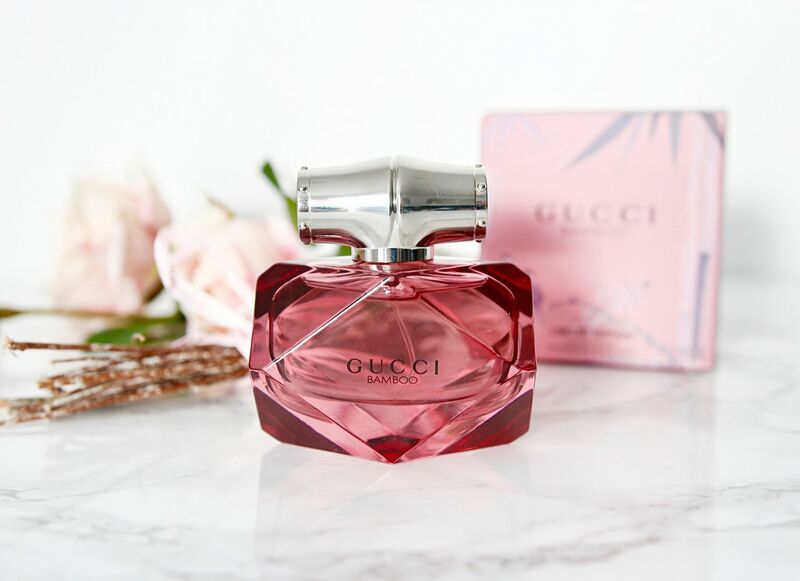 The scent is super feminine, with top notes of bergamot and hibiscus flower, but it’s not overly floral and is very light and fresh, more fruity than anything, which is enhanced by the delicate rose signature of peony. After the initial citrus burst you will be hit with musky tones, a really gorgeous Spring fragrance and a new launch from Jimmy Choo this year. 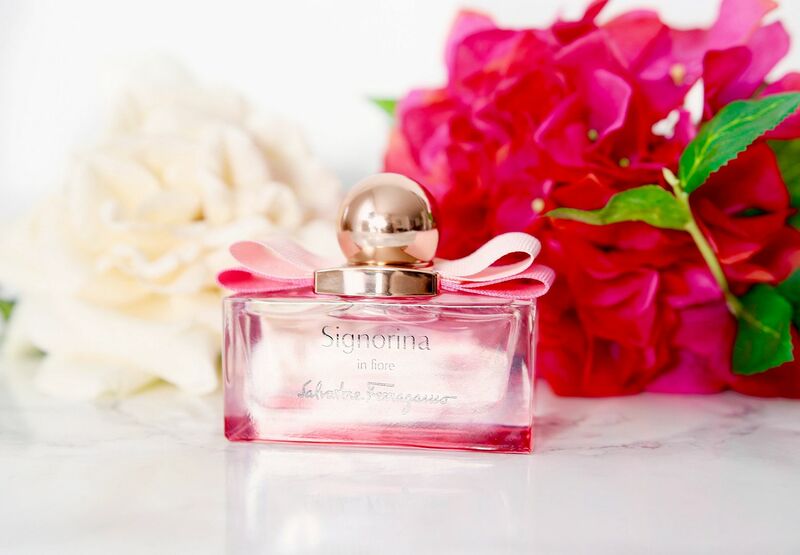 Signorina in fiore is a fruity fragrance sure to give that Spring feeling. The scent has notes of vibrant pear sorbet with juicy pomegranate. The heart of the fragrance is cherry blossom and jasmine petals, with an after smell of soft white musk and sandalwood. 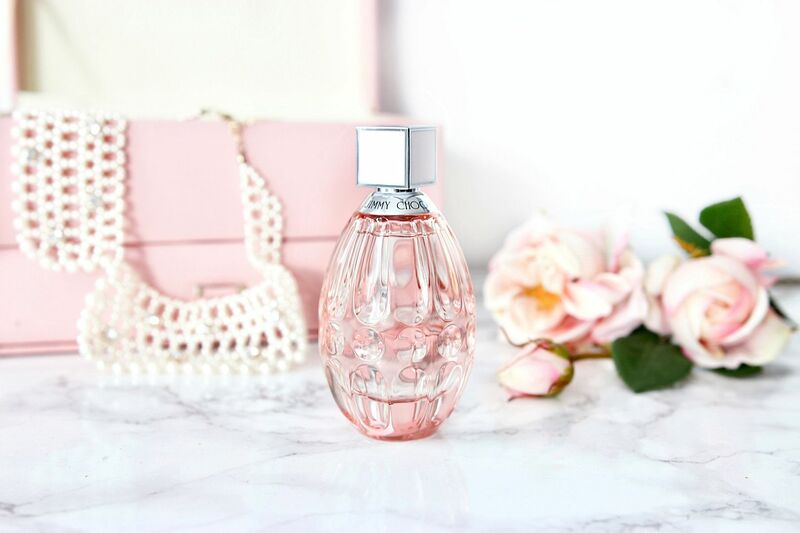 This is a really light and uplifting fragrance that with its beautiful bottle is sure to be loved by any Mum. 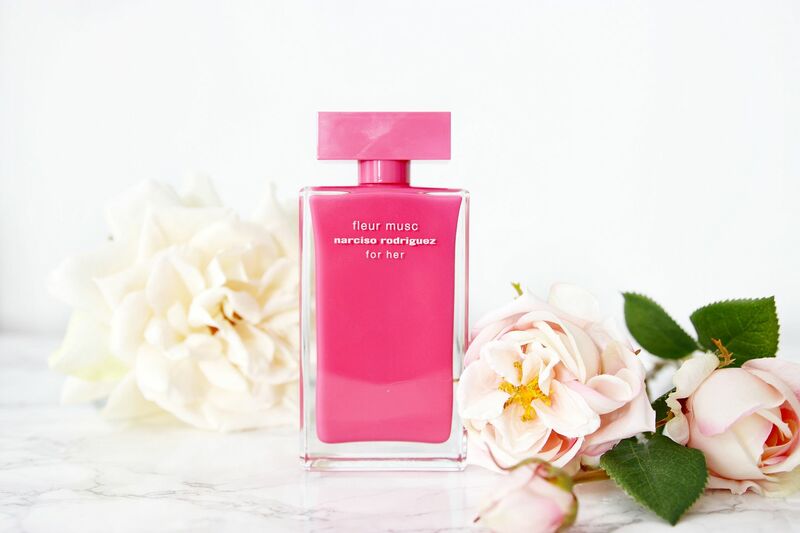 A brand new launch this March from Narciso Rodriguez is Fleur Musc. The scent comes in a bright pink bottle and is a floral chypre scent constructed around a heart of musc. It has spicy floral notes such as pink peppercorn, rose and luminous woody notes where patchouli blends with the softness of amber to create a long-lasting effect on the skin. 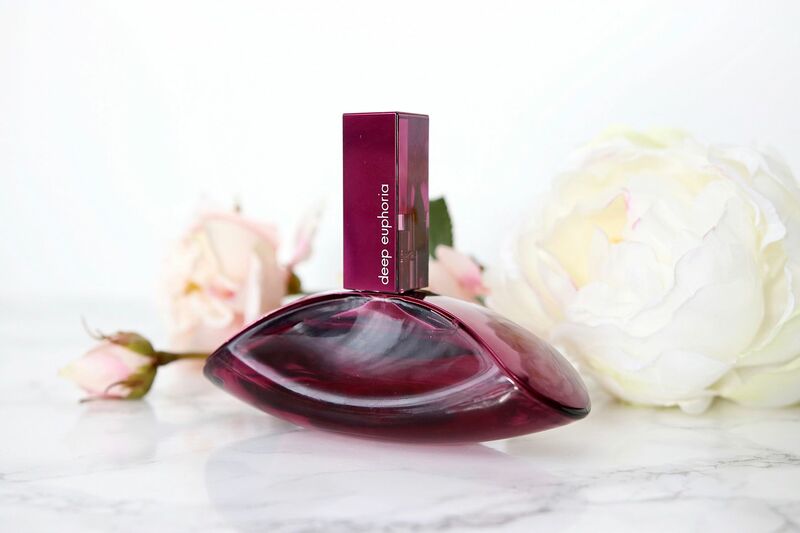 Narciso Rodriguez Fleur Musc is currently available exclusive to Selfridges & available nationwide from March 13th. If your mum likes everything a little glamorous, then Versace’s Crystal collection could be right up her street. Versace Bright Crystal was the first in the collection, with Yellow Diamond later following, as well as stronger versions of the originals. 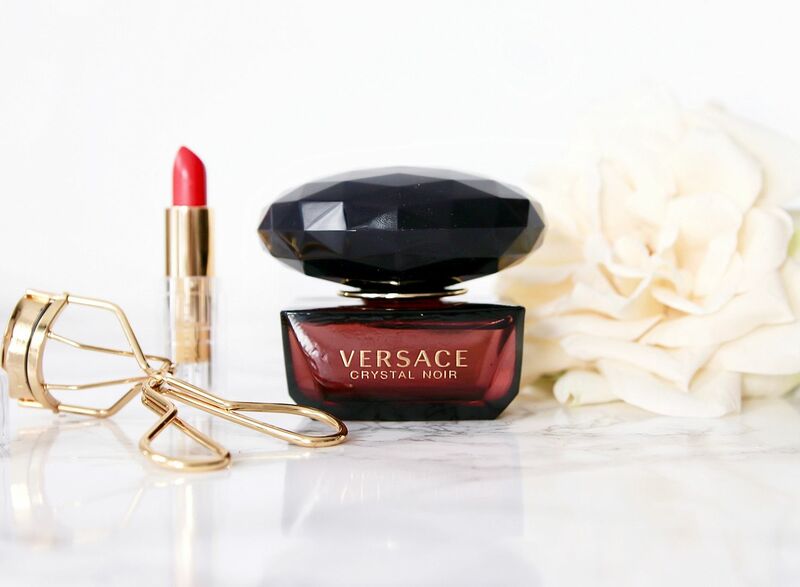 All of the bottles are eye-catching, but for a true glam mum, go for the Versace Crystal Noir. Not only is the bottle gorgeous in a dark black bottle, the scent has top notes of amber and is floral, oriental and feminine. Another new launch this month, Gucci Bamboo have a limited edition of their best-selling perfume. It’s the same woody fragrance with an exotic blend of florals and deep woody notes such as sandalwood, but this limited edition bottle is now encased within amethyst-toned glass, with a silver stopper in the form of bamboo and a lavender-hued outer packing depicts a bamboo garden. Did you know it’s the number one fragrance bought at Heathrow’s duty free? So surely you can’t go wrong. A new take on the Deep Euphoria perfume from Calvin Klein. This EDT version launched this month, falls into the floral category with a hint of fruity too. So if your mum likes the best of both worlds, this could be the fragrance of choice. Top notes are water-lily, heart notes of rose with a woody mineral base. The floral of the magic rose I’d say embodies the perfume, but the light fruit notes and then the subtle musk make this such a lovely choice. Plus the bottle looks amazing too!